Rick the Stick and Eric the Great. Taking a break from the blog and Facebook. Internet/computer is down…..epic Sugar Lake trip for David and Tim. A tough Sugar Lake bite doesn’t stop Guy from boating personal best! Jared and Jonathan make Sugar Lake their own bass playground. 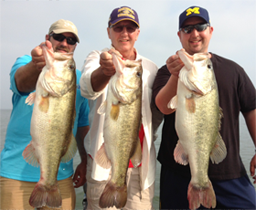 Ronnie has himself a day with a new personal best on Falcon Lake Texas and a new hat? Record setting trip on Sugar Lake Mexico. Report to follow mañana after we return. Travis and Jeff have one more day in paradise. Falcon was a tough son of $&@tch today.